Introducing: Closet Widgets for Bloggers! 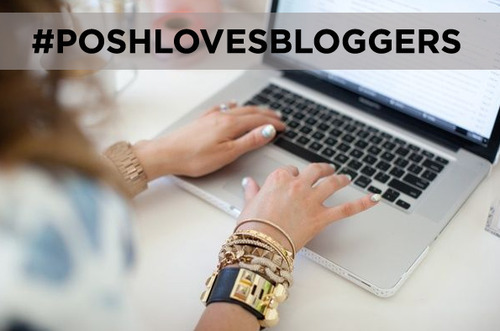 March 25, 2014 August 18, 2014 Categories App Updates, Community, Influencer Spotlight, Style#poshlovebloggers, app update, Bloggers, Closet Widget1 Comment on Introducing: Closet Widgets for Bloggers! Attention, bloggers! We’re thrilled to let you know that we have launched our highly-anticipated closet widgets – woohoo! This customizable, real-time tool is the perfect way to encourage your blog readers, fans, and followers to shop your closet directly from your blog or website at any time, 24/7. The widgets are clean and sleek, blending in well within the sidebars across a variety of blog layouts and formats. Creating and adding the widget to your blog takes just a few minutes. Simply go to: http://poshmark.com/widget/generator (you’ll need to be signed in to your account). Bonus: We’ve added a “My Favorite Closets” section on the widget so you can add up to five of your favorite Poshmark closets (using their username). They’ll receive an email letting them know you’re showing them Posh Love on your blog! So what are you waiting for? Create your widget now and monetize your closet even more! Can you provide a code for a Poshmark Icon that we can provide in a blank text widget so that when you click on the icon it takes them to your closet? This is the one for facebook. I tried writing it myself for Poshmark but couldn’t get the icon to show.